As part of Diane Sanfilippo’s team, I often receive advance copies of new books, and the cookbooks are by far my favorite. They provide inspiration, escape, and new recipes for me to try. And the mouth-watering food photographs are this foodie’s idea of paradise! 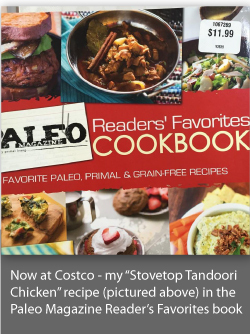 The most recent arrival was The Homegrown Paleo Cookbook by Diana Rodgers, NTP of Sustainable Dish and her husband, Andrew Rodgers. My first thought when I saw this book was, “Wow, this looks amazing!” And as I flipped through the chapters, I realized that this is no ordinary cookbook. First of all, The Homegrown Paleo Cookbook centers on sustainability: in farming and food production as well as in our individual diets and lifestyles. This speaks to my heart because I believe that if we make changes to our diets for short-term goals instead of creating sustainable habits, then the moment our food choices are challenged we will cave and turn to the nearest convenience food available, which let’s face it, won’t bring us vitality or long-term health. I’m also a big supporter of sustainable agriculture and shifting the paradigm away from modern food production practices and toward the more holistic, organic, and life-sustaining practices of the past. Diana’s work as a nutritional therapy practitioner as well as her role as the manager (with her family) of a farm in Massachusetts inform every inch of this beautiful tribute to everything homegrown. 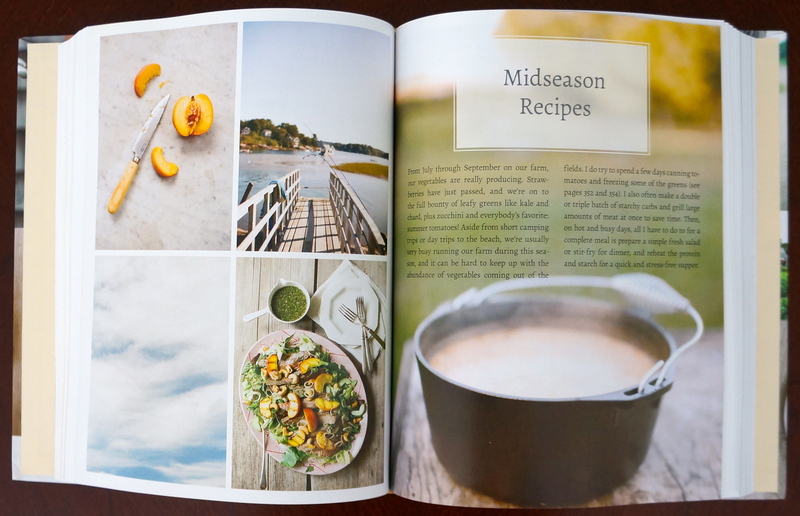 Diana has included created over 100 recipes that are grouped into seasons: early, mid, and late. When we eat with the seasons, we support local food producers, and we are able to enjoy food at the height of freshness and flavor. I haven’t tested any of the recipes yet, but I’m looking forward to exploring the variety of dishes and discovering some new family favorites. As always, I’ll consult my kitchen helpers when deciding what to try first! The best thing about this cookbook is that it is not just about recipes. There are sections about how to raise livestock and bees, how to grow a garden and forage for wild plants, and how to make the most of life by playing, creating, and relaxing. I’m especially looking forward to trying out Diana’s methods for naturally Coloring Easter Eggs, and with a daughter who loves Pinkalicious, I will probably be Building a Fairy House this spring. If you are interested in sustainable, nutrient-dense, delicious recipes, or you’d like to start gardening or raising some backyard chickens, this book is an excellent resource and a beautiful guide through the adventures of modern homesteading and growing your own healthy food. And even if you aren’t interested in those things, I think you will find this cookbook to be a lovely and inspiring addition to any food lover’s collection. I wish I lived in an area that allowed me to have my own chickens, but we do have a seasonal garden, and at the very least, I can follow Rodgers’ recommendations for finding sustainable food sources when I can’t grow them myself. If you haven’t done so already, like my Facebook page. If you have already done this, share my page or blog with a friend. Leave a comment below or on my Facebook page telling me why you’d like this book. The winner will be chosen using random.org on Friday, March 13, 2015. GIVEAWAY OVER: Congratulations to Melissa Calo-oy! You must be a U.S. resident for this giveaway (sorry, international fans!). Please use a valid email address when entering. If you win, I will contact you via email and request your mailing address, which I will then pass on to Victory Belt Publishing; they will send you the book directly. Great review of what sounds like a great book. I think the section on foraging sounds particularly interesting. Soon the boys will head out in search of morels, but it would be fun to find some other thing as well. This looks really interesting, Rebekah. I will be interested in reading the food production chapters as well as trying the recipes. I would love to have this cookbook! I’m working on revamping how my family eats, and this would be a fantastic resource. Thanks for the review! I’ll definitely be check it out if I don’t win! Congratulations to Melissa Calo-oy! 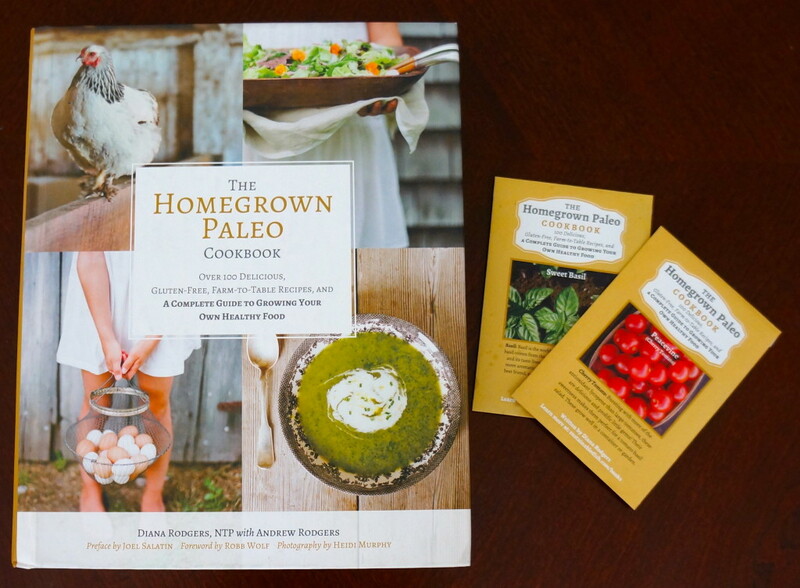 You are the winner of a copy of The Homegrown Paleo Cookbook!